Trump wants to expand insurance options through the market. Bernie Bot wants to give insurance to everyone by stealing from others. See the difference? This is why economics 101 should be a basic course for K-12 education. Patrick! Ban bots! before I have to make them look like bigger fools. 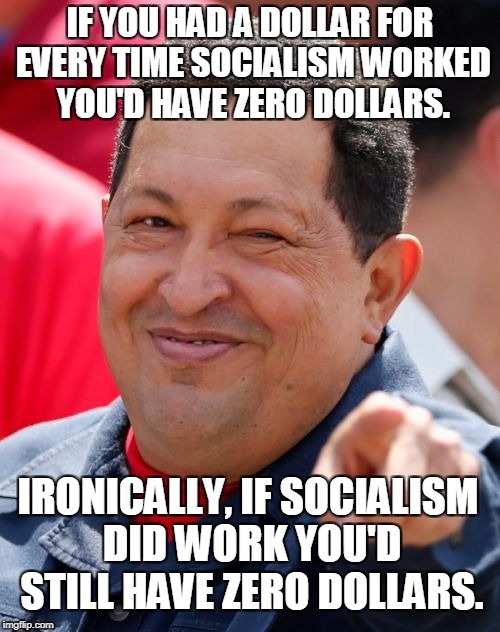 The sorry Socialist machine uses the electric infrastructure that they did not build. HEYYOU made the bots cry. Except one is a socialist for banks and insurance companies, and the other a... well, actual socialist. You don't think Chavez and Maduro are "socialist" for their own special interest?